While this revolution is gaining wide acceptance, Global Property Register (GPR), the FIRST universal real estate register that will be worldwide in nature, covering both developed and developing countries has arrived. "Blockchain technology has thus far been the true star of the cryptocurrency revolution. Although the value of popular digital coins like Bitcoin and Ethereum have been in near-constant flux in recent months, the technology that powers them has been making headway into industries of all kinds all over the globe. Naturally, some of the earliest adopters of blockchain technology are in the fintech sector, but they’re far from alone. There are already functional, blockchain-powered platforms bringing disruption to industries ranging from global shipping to diamond mining, and that’s just the beginning. Lately, though, blockchain technology has been making some visible inroads into another, enormously valuable market: real estate. Here’s what’s happening. One of the primary friction points in global real estate markets is the complex and lengthy contract procedures that one must go through when a property changes hands. The existing legal frameworks that govern real estate transactions generally mean that the transaction itself must be reviewed and executed by a series of intermediaries such as real estate agents and lawyers that can not only interpret and verify the language of the legal documents, but also verify that the predetermined conditions have been met. That process does work, but it adds additional layers of costs and delays to the transaction." 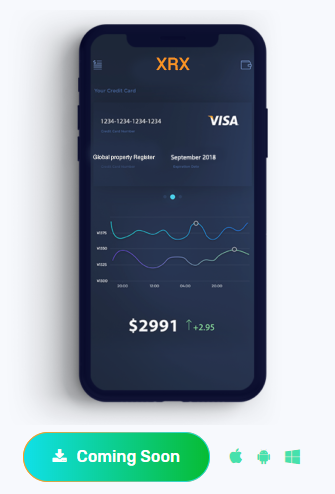 With that being said, the Global Property Register platform will serve as an international digital real estate marketplace to all market participants and analytical solutions and tools powered by Artificial intelligence will be provided to property owners enabling them make wise decisions and projection. What exactly is Global Property Register? As depicted earlier and as indicated on the official website of Global Property Register (GPR), Global Property Register (GPR) is the FIRST universal real estate register that will be worldwide in nature, covering both developed and developing countries. In addition, Global Property Register - is a new generation of the real estate market, using modern technologies and tools, with which it will be possible not only to fix each subsequent property, but also to purchase it on a simplified system through the internal token platform. Global Property Register is a new kind of already obsolete old system of the real estate market. 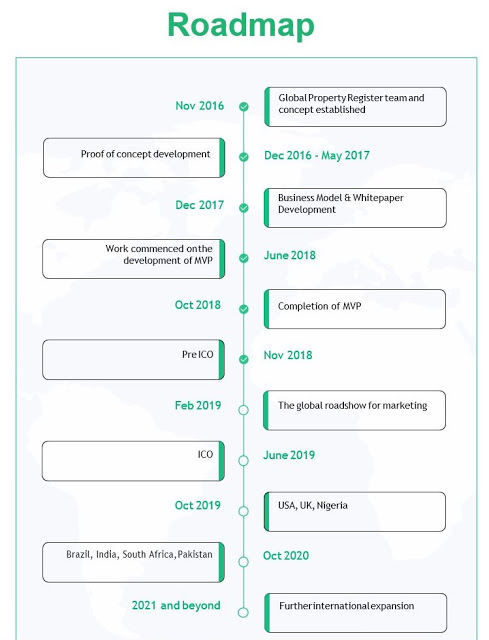 Global Property Register is able not only to assess real estate, but also to control the entire list of necessary documents, legal certificates and other references at the legislative level, in order to ensure maximum transparency at all stages of the transaction, as well as to eliminate various bureaucratic costs. A world in which every homeowner is able to leverage the value of his or her real estate( house or land). Property documents are secure and easily accessible. Land and property fraud is eliminated especially in developing countries of Africa, Asia and South America. Global Property Register expertise lies in providing the best and reliable blockchain based real estate products. Global Property Register experts comprehend the divergent requirements of clients and strive to provide them with the most effective solutions. So that XRX is providing following Products. Anyone with a smartphone and an internet connection can use our solutions and upload his/her land or property on our universal blockchain register. The user-friendly app will be easy to understand and gives you up to the minute updates. Here is a short list of other benefits this app will provide you. Prevention of fraud - all transactions that occur on the blockchain platform will be cryptographically signed and verified. Using a timestamp with a consistent mechanism on the blockchain prevents multiple bookings / sales of the same property unit, which is a common problem when properties are registered by different brokers.